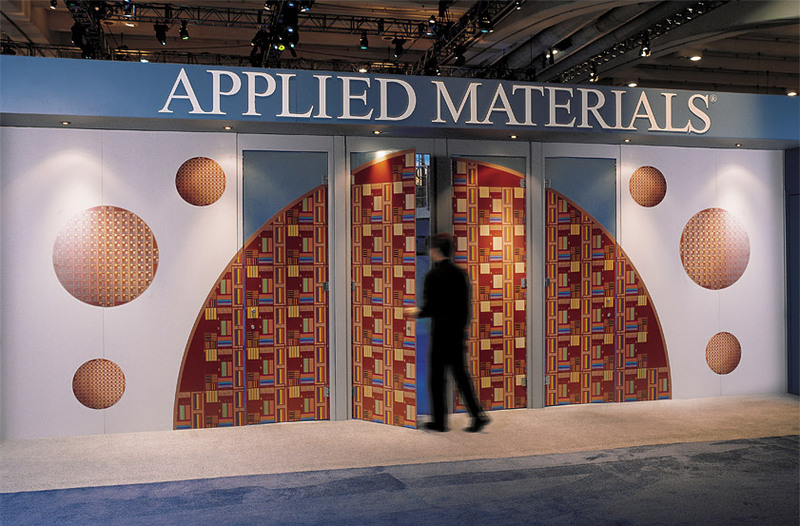 Applied Materials is the world’s leading maker of semiconductor equipment. 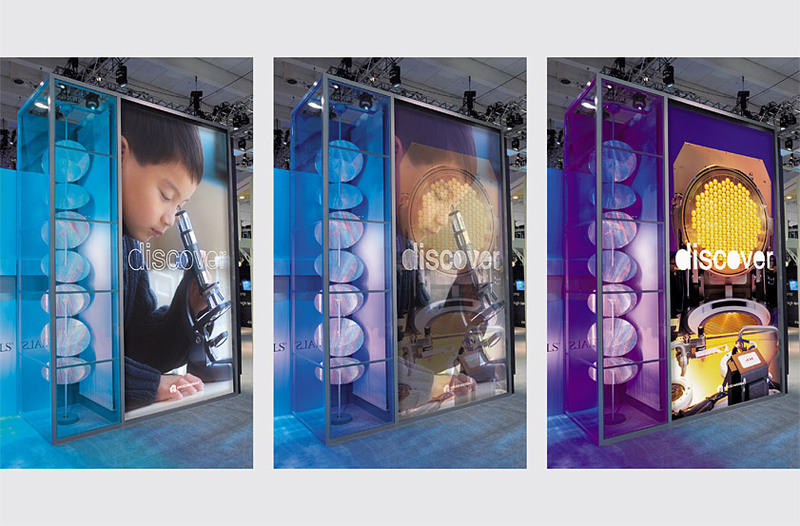 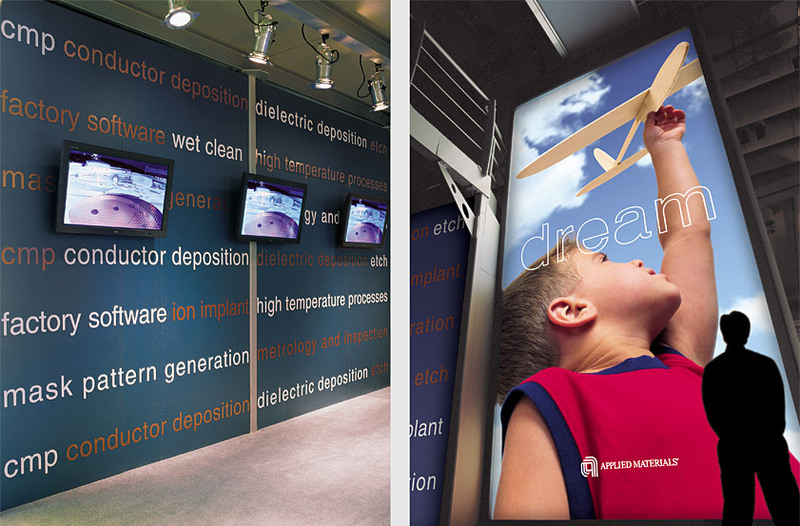 At SEMICON/West, the semiconductor industry’s largest tradeshow, our solution for the firm’s 100' x 100' booth invites attendees to “imagine, discover and explore,” connecting a child’s youthful inspiration with science to the company’s innovative technology. 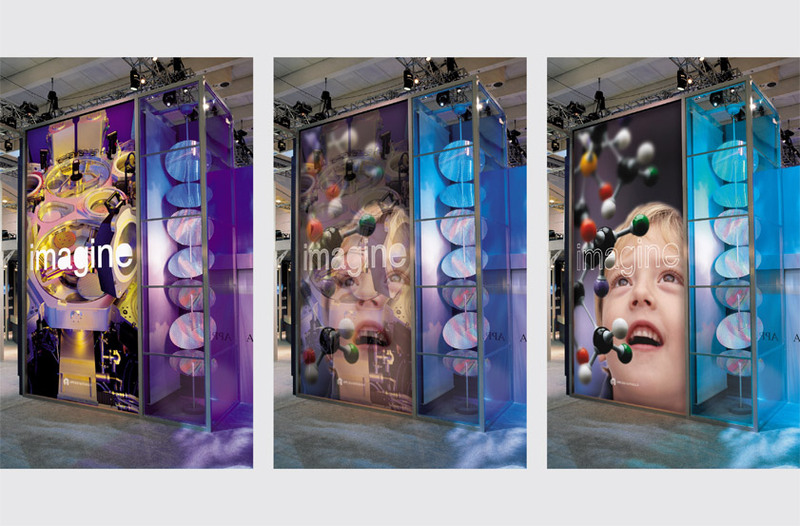 Creating a sense of “magic,” 20'-high backlit theatrical screens transform images of children exploring science into Applied Materials’ state-of-the-art wafer fabrication equipment. 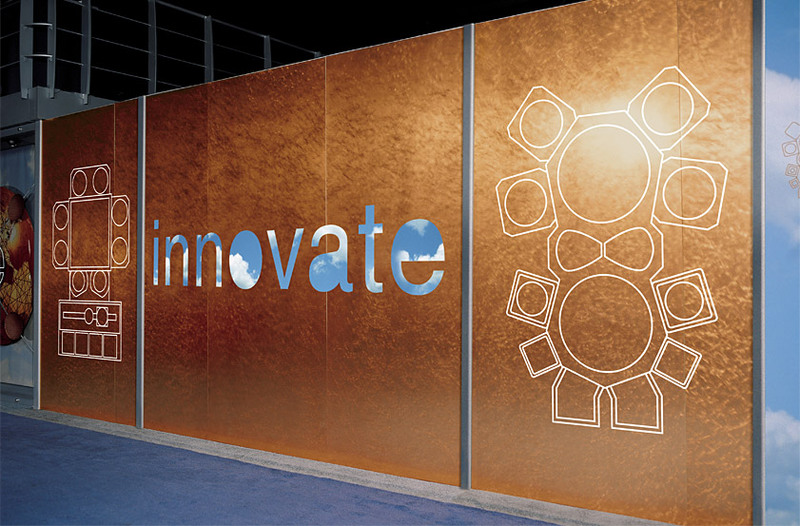 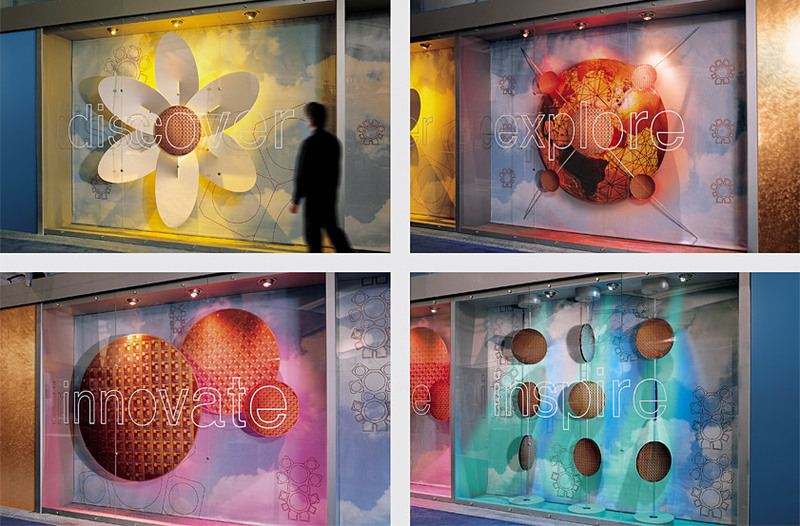 Connecting the “innovation” theme with Applied Materials products, motorized displays use wafers as flowers for growth, globes for worldwide reach, gears for productivity, and discs for momentum. 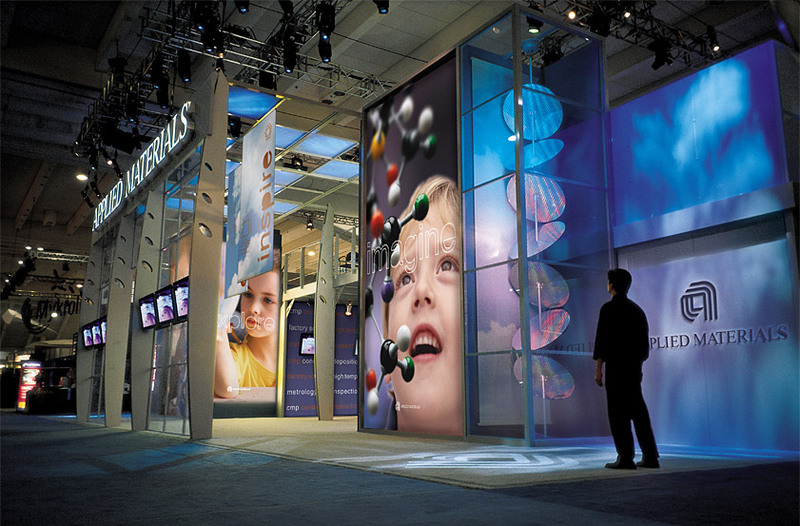 Attendees enter the “world of semiconductors” through a giant 24' diameter wafer opening.